I went to my nephew’s birthday party this weekend. He turned five and so the party was based on Disney’s Lion Guard series, which is a spin-off of The Lion King. There were zoologists on hand with a dozen exotic animals – an anteater, a boa constrictor, a hedgehog, etc. – and lots of safari-themed cupcakes and decorations. My sister-in-law also provided pith helmets for all the kids to wear. 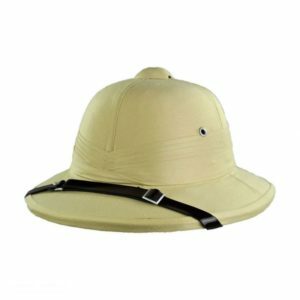 Of course I was unable to resist making a classic dad joke: “You know what a pith helmet’s for, right? In case you need to take a pith!” Everyone groaned, as everyone has always done every time that joke has been made for the last two-hundred years. As the words were coming out of my mouth, I remembered that it was one of mom’s favorite jokes. (She may have gotten it from her dad, Papa, who served in the China/Burma/India theater in the Pacific in WWII.) It was quite literally impossible for her to resist making that joke any and every time one of those pieces of headgear appeared or was even mentioned. It was a poignant moment for me. Both my sons (and my nephews) were running around like little maniacal adventurers, full of life and wonder and joy. I love them and it will probably forever break my heart that they never got to know their grandmother, who would have been thrilled to have a captive audience for that terrible joke and a thousand others, and who would have worshiped the ground they walk on.